Do pool covers really stop evaporation? You are at:Home»Pool Covers & Rollers»Do pool covers really stop evaporation? 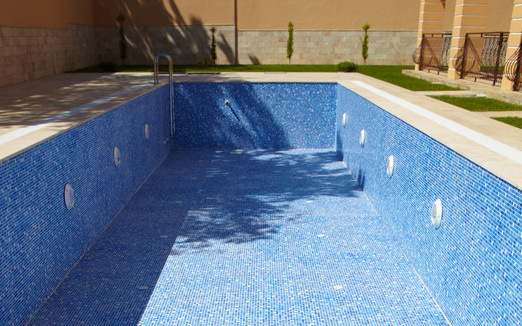 Pool owners often have the problem of their pool water quickly evaporating. Particularly in hot areas such as Brisbane and Perth. Evaporation can also be just as much as a problem in Sydney, Melbourne and Adelaide, and in particular, windy and areas with low humidity. We often get asked, “How do I stop my pool water evaporating” and “Does a pool blanket really stop evaporation?”. There is little doubt that pool covers do reduce evaporation. It’s been scientifically proven many times. Some councils and water authorities now believe in them so much that they now give rebates just for buying a pool cover. Which Pool Covers Cut Evaporation? Firstly, there are several different pool cover types. Not all of them will reduce evaporation in your pool. And further to that, the ones that do reduce your pool water evaporating aren’t all created equal. Leaf covers and safety nets do not effectively reduce evaporation. Pool covers won’t give maximum benefits if they haven’t been fitted properly. An ill-fitting pool cover will be far less effective. Make sure your cover extends the full length and width of your pool and closely follows the shape of your pool. It’s also important that you keep your pool covered as much as possible when not in use, particularly at night. Night time is when your pool water will evaporate the fastest. Some pool covers in Australia carry the Smart Watermark Approved label. These covers have been tested by an independent scientific lab and have been proven to reduce evaporation by a minimum of 80%. They have also been further assessed by another panel of pool professionals. By saying this, I’m inviting criticism here from the various pool cover manufacturers. All manufacturers will say their blanket is superior. But it’s my honest opinion that you will get similar performance in the reduction of evaporation no matter which brand you choose. To be fair though, performance will vary by pool cover type (solar, thermal, rigid etc. ), cover thickness (thinner blankets don’t perform as well) and if the cover has stitched seams or welded seams (welding performs better). It’s really simple. Pool covers create a non-porous (doesn’t let water in) barrier over the top of your pool trapping the evaporating water under the pool cover. Leaf covers don’t work because they are made from woven material and don’t seal the water in. Which is the Best Pool Cover for Reducing Evaporation? Thermal & Rigid pool coversare both excellent at cutting evaporation and they also do a fantastic job of retaining the heat in your pool, keeping debris and leaves out of your pool. Pool owners with a higher budget ($1,200 to $12,000) may consider these options. If however you have a smaller budget ($200 to $1500), then a cost effective way to go is a Solar Pool Cover. Although the heat retention isn’t quite as good as the more expensive options, you still get almost all of the benefits, but the cost is much less. Why is evaporation more at night? Is it of much benefit in terms of controlling evaporation to cover the pool during the winter (so. california)? THx. I was stumped myself, but it makes sense. Durring the day, the pool gets heated, then on a really cool night, all that that heats gets affected by the cool night air and evaporates. The hotter the day and cooler the night, the greater loss due to evaporation. I was looking for an articles to prove that im not the only one that believes covers stop water evaporation. I shared this one (along with others). Good article.